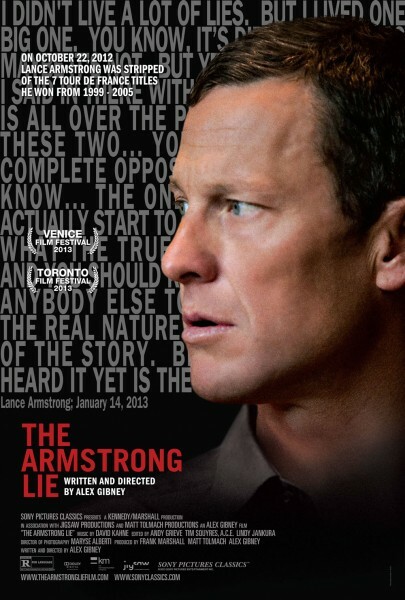 You won’t know what hit you after watching “The Armstrong Lie”. This power punch to the gut is one of the best documentaries you’ll ever see about the controversial cyclist. Armstrong has been duking it out all of his 43-year-old life with labels: Cancer survivor, Tour de France winner, liar, cheater, dope addict…you name it. Whew! Director Alex Gibney uses home movies and film clips of races and TV interviews with people who were affected by Armstrong’s lie to expose the truth. Armstrong doesn’t duck them this time, which makes this documentary even more credible and shocking. By the end of the film, the fallen idol emerges from his cage — damaged, for sure, but whole in a way we’ve never seen him before. Gibney began filming in 2008, when the seven-time winner of the Tour de France was getting ready for his long awaited comeback. Then doping allegations spiraled out of control and Gibney was forced to shelve his project. But in 2013, Armstrong opened up like a man injected with truth serum and the result is this truly fascinating documentary. If you’re curious about Armstrong and his “legacy”, consider this one a must see.